A new trailer has been released by the folks at Paramount Pictures for the upcoming Zoolander 2 to showcase even more of the film’s celebrity star power. In this particular trailer, entitled ‘Relax’, we see appearances from musicians Skrillex and A$AP Rocky. 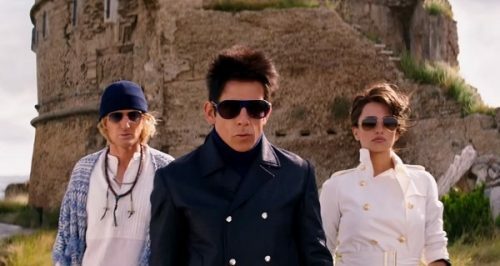 The film, which is directed by Ben Stiller, follows the exploits of two fictional male models as they get caught up in a global conspiracy by the fashion industry. The film stars Stiller and Owen Wilson as the two models caught up in a plot beyond their understanding. A number of other famous personas are also making an appearance in the film including Will Ferrell (as the villain), Benedict Cumberbatch, Penelope Cruz, and even Justin Bieber. The film is being produced by Stiller’s production company, Red Hour Productions, and you can see the trailer for yourself below. The film comes out next week, on the 11th of February. In the meanwhile, the marketing for the film also includes a “Where’s Wally?” type photo for a game called “Find the Panda” which you can check out here.